NHG Pharmacy is a health-promoting pharmacy. To help our patients and customers stay healthy, we only sell food products that are trans-fat free. Moreover, we also prohibit food products that are high in sodium1 and saturated fat2 from being sold in our pharmacies. Read on to find out how you could make healthier and wiser food choices. 2 – Saturated Fat content must not exceed 85% of the Total Fat content. We are what we eat. As our food choices expand by the day and ingredients get increasingly complex, what will these mean to our health? Trans fat raises bad cholesterol and lowers the good cholesterol in our body, leading to heart disease and stroke. 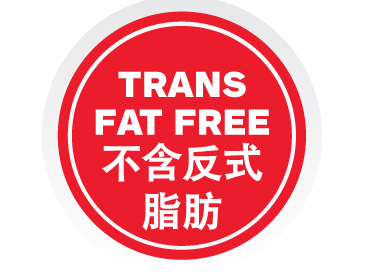 Look out for this label in our Pharmacy on products that are trans fat free. High salt intake is known to cause high blood pressure which is a major risk factor for stroke and kidney disease. 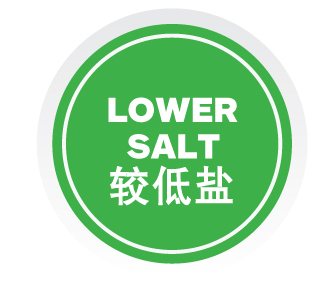 Look out for for this label in our Pharmacy on products that are lower in salt. Excessive sugar intake can lead to obesity, which is a major risk factor for diabetes, coronary heart disease and other health risks. 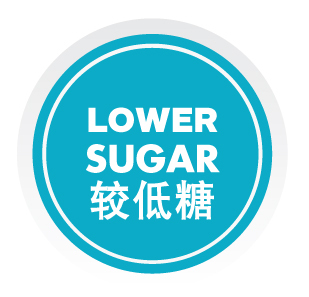 Look out for this label in our Pharmacy on products that are lower in sugar. A high-fat diet often results in excessive calories and weight gain, increasing the risk of stroke and other health hazards. 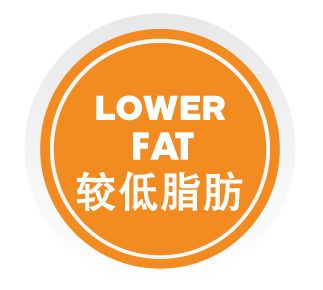 Look out for this label in our Pharmacy on products that are lower in fat.